Obituary for Mary Madeline (Wright) Murray | Henry Funeral Home, P.A. 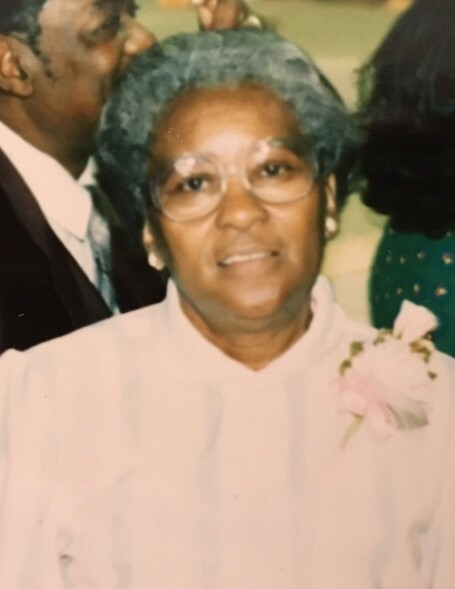 Mary Madeline Wright Murray of Carmichael, Maryland departed this life at the age of 96 on Saturday, March 16, 2019 at Easton Memorial Hospital. She was the daughter to the late John Frank Wright and Mary Alice Coleman Wright and was born on December 5, 1922 in Carmichael. She received her education in the Queen Anne’s County public schools. She was affectionately known as Mom, Mom Mary, Mom Mom, Mom Mommy and Great-Great. Mom Mary worked as a domestic engineer for the late Mrs. Helen Bishop, Mr. J. R. Kimberly, Mr. Arthur A. Houghton and Mrs. Nina R. Houghton until she retired. Every Christmas she looked forward to a large box of latest paper products and a large tin can of pretzels from the Kimberly & Clark Company. Mom Mary was a devoted wife and mother. She was an active and faithful member of John Wesley United Methodist Church and used her spiritual gifts to build up the church. On May 13, 2018, the honor of Mother of the Church was bestowed upon her. It was not a burden, but a blessing to faithfully serve as the Church Sexton when her father gave up the position. She would diligently clean the Church every Saturday. She would rise early Sunday mornings to come up to the church to start the coal fires in the two coal stoves. She made sure you felt as “snug as a bug in a rug” during Sunday services and meetings. Mom Mary also taught Sunday school and was a member of the Board of Trustees. Ushers, Mission and Outreach Committee and the United Methodist Women. She was also a member of the Senior Choir and loved to sing as a solo one of her favorite hymns “From Youth to Old Age.” Mom Mary has been a pillar to the community. On February 23, 2019, she was honored by the Kennard Alumni Association for “Improving the Lives of Family and Friends By Being A Shining Example Of Citizenship And Community Service”. She loved to drive beginning when she drove her father’s station wagon to pick-up children in the community to take them to the Carmichael “Colored” school located across from the church. She also prepared lunch for the students. She taught many community members how to drive and even took them to get their license. If you needed a ride to church or to doctor appointments or you missed the school bus, Mom Mary was the one to call. Mom Mary had a loving heart and captivating smile. She opened her home and heart and welcomed everyone with unconditional love. She loved meeting people and talking about the goodness of the Lord. She truly loved the Lord and was a Servant of the Lord. In addition to her parents, she was preceded in death by her devoted husband John Franklin Murray. Two brothers Elwood and Henry Wright and two sisters-in-law Merion and Lillie Wright. One sister Virginia Brittingham, one brother-in-law George Brittingham Sr., one grandson Brian K. Jackson, one niece Delia M. Brittingham, two devoted cousins Elwood Coleman and Goldie Thomas and a very special friend Mary Elizabeth Robinson. Mom Mary leaves to cherish her memory: a daughter V. Arlene Brown, a son LeRoy Murray (Mary S.), Granddaughter Marquita Singleterry, Great Grand Children: Miandre Brooks (Bobby), D. Marquez Singleterry and Marquise Singleterry, a Great-Great Granddaughter Mila Demi Brooks, a Special Friend Vernon Price Jr., a devoted weekly Bible Study partner (niece) Fannie Wright, a loving personal Podiatrist (niece) Barbara Hayes and a host of nephews, nieces, cousins and friends.